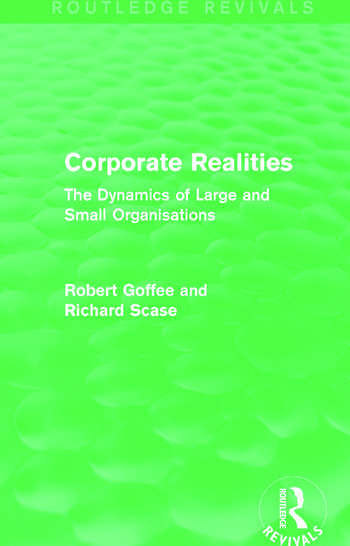 Corporate Realities, first published in 1995, provides a concise but comprehensive review of the management issues relating to different types of organisation. Avoiding academic jargon, it describes the characteristics of administrative, manufacturing, service and professional organisations. It explores the features of both small and large businesses. The authors demonstrate how the transition from small to large scale can be achieved, as well as reviewing recent attempts to recreate entrepreneurial forms of organisation in the context of larger, more complex ones. Most importantly, it identifies future trends and the skills that will be needed to manage corporations at the turn of the century. This book will be of interest to students of business studies.